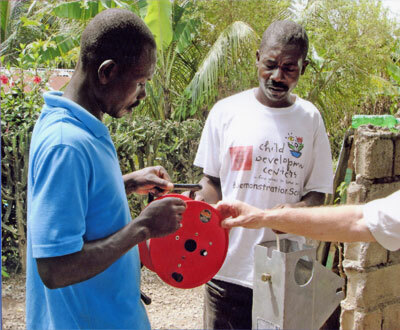 Over the years, Solinst has provided donations for humanitarian projects where clean water saves lives. On January 12, 2010, a devastating Magnitude 7.0 earthquake hit the country of Haiti near its populated capital, Port-au-Prince. It is estimated that over 3 million people in Haiti were affected by the quake, and over 1 million people left homeless. Just days after the event, Lifewater Canada had volunteers in the country with emergency aid and supplies. Lifewater Canada is a non-profit organization that provides humanitarian assistance to rural poor, with a focus on providing clean drinking water through drilled wells, equipment donations, and training and education so the local people can carry on the work. Initially, Lifewater was able to deliver water, food and medicine to Port-au-Prince, and help with the distribution of biosand filters for water purification. Since then, Lifewater has drilled 3 new wells in villages dealing with large numbers of homeless refugees, and have also rehabilitated 5 existing wells. After their initial emergency efforts in Haiti, Lifewater has continued to provide support to earthquake survivors, now with their attention on long-term sustainable development work. Lifewater is working with local groups and partners to coordinate the response that will be required for recovery in the upcoming years. Solinst Canada is proud to be a part of Lifewater's continuing relief efforts in Haiti, through a donation of various water level meters and tag lines. Drill teams are utilizing these meters, as are pump repair teams and various survey team volunteers across the country. 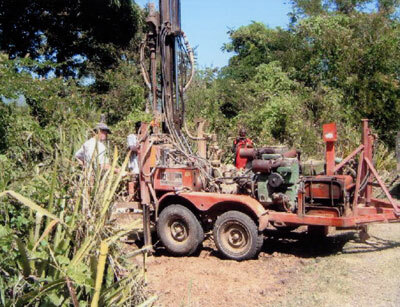 Other funds donated were used to refurbish a "faithful" old drill rig that has been used for many years, to drill numerous wells in Haiti. This drill rig is critical at this stage in the relief efforts, as it will be used to drill wells in the Northern Cape Haitian Plain, where the need for more wells is quickly growing as more and more refugees are relocating to this area. 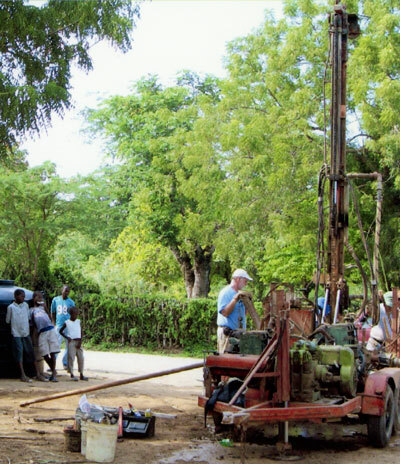 Now that the rig is running safely and more efficiently, it will help provide clean water to those in this region. The work done by Lifewater Canada is providing safe drinking water to the most vulnerable regions in the world, and Solinst looks to continue to support their efforts in the future.